The AudioBox iTwo and its software library make recording your compositions and tracks easy! Record in stereo on your iPad with free Capture™ Duo or record up to 32 tracks with affordable Capture for iPad. Then wirelessly beam your iPad tracks to PreSonus' award-winning Studio One® recording and production software for Mac or Windows for editing and mixing. Or do the whole project on your laptop with Studio One. Either way, the AudioBox iTwo and its software library provide all the tools needed to record on the road and in the studio. 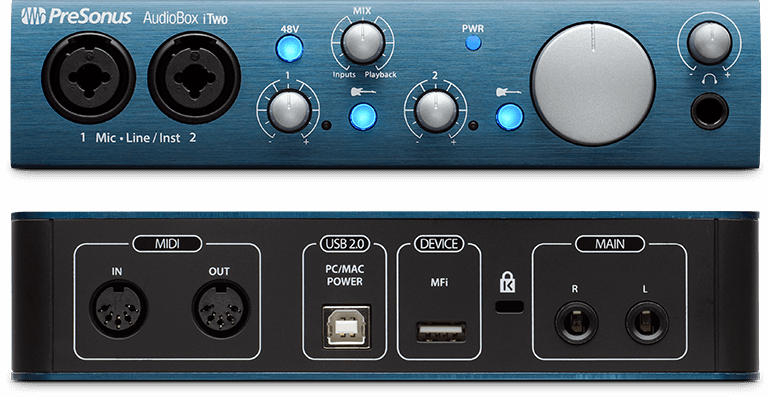 To record great-sounding music, you need outstanding preamps and digital converters. And to hear what you’re doing, you need a headphone amp that keeps up with the rest of the design. The AudioBox iTwo delivers it all! 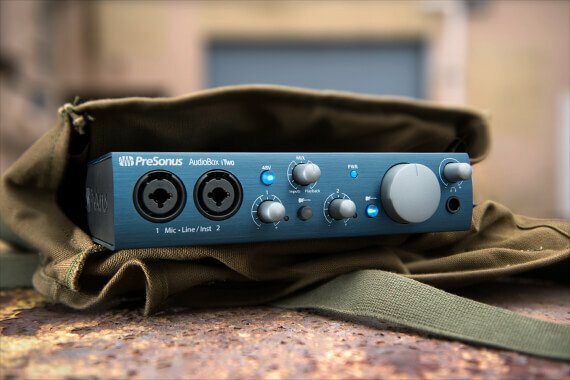 PreSonus is famous for their award-winning microphone preamplifiers, and they have equipped the AudioBox iTwo with a new, sweet-sounding mic preamp that will capture your voice in all its glory. Clean, clear, 24-bit, 96 kHz digital converters and an ultra-loud, crystal-clear headphone output ensure you hear every detail.